Patient complexity is often operationalized by counting multiple chronic conditions (MCC) without considering contextual factors that can affect patient risk for adverse outcomes. Our objective was to develop a conceptual model of complexity addressing gaps identified in a review of published conceptual models. We searched for English-language MEDLINE papers published between 1 January 2004 and 16 January 2014. Two reviewers independently evaluated abstracts and all authors contributed to the development of the conceptual model in an iterative process. From 1606 identified abstracts, six conceptual models were selected. One additional model was identified through reference review. Each model had strengths, but several constructs were not fully considered: 1) contextual factors; 2) dynamics of complexity; 3) patients’ preferences; 4) acute health shocks; and 5) resilience. Our Cycle of Complexity model illustrates relationships between acute shocks and medical events, healthcare access and utilization, workload and capacity, and patient preferences in the context of interpersonal, organizational, and community factors. This model may inform studies on the etiology of and changes in complexity, the relationship between complexity and patient outcomes, and intervention development to improve modifiable elements of complex patients. Patient complexity is a related but distinct concept from MCC. Patient complexity recognizes that for patients with functional and health limitations, some key challenges are social or non-medical issues that are not easily amenable to healthcare intervention. The complicated interplay between medical and non-medical factors that influence health outcomes has been previously recognized,9 , 10 and may be particularly salient for complex patients. For one example, an MCC orientation ignores social capital, defined as features of social organization and resources available to individuals within a community, that have been associated with health at the level of the person and at the level of society.11 To improve the care of complex patients, clinicians must address “extra-medical” challenges, carefully eliciting patients’ evolving preferences as well as capacity to self-manage. Complicating non-medical challenges, providers face ongoing and evolving responsibility in a fragmented healthcare system that often lacks incentives for services coordination or meaningful communication about goals and priorities of patients and their families. The purpose of this study was to conduct a systematic review of published conceptual models related to MCC or patient complexity. Based on common strengths and consistent gaps in these existing conceptual models, we developed a new conceptual model of patient complexity and associated outcomes. This conceptual model expands the common framing of MCC as synonymous with complexity to one in which MCC is one facet of complexity. A conceptual model can be useful to illustrate the relationship between complexity and MCC, and to clarify measurement of modifiable patient, provider and health system factors that can ultimately inform care models for complex patients. With assistance from a reference librarian, we searched MEDLINE for English-language papers published between 1 January 2004 and 16 January 2014 (Fig. 1), which yielded 1606 unique abstracts. Two reviewers independently evaluated abstracts using a three-level scoring system to rank relevance (e.g., not relevant , unclear relevance , relevant ) for a combined possible score of 0-4. Review criteria included applicability to MCC and/or patient complexity and presentation of a theoretical or conceptual model of health needs or outcomes of MCC/complex patients. Full text articles were reviewed for abstracts receiving a combined score of 3–4. The review team (LZ, HW, SH, CB, MM) met to reach consensus regarding whether the full text should be reviewed for abstracts with combined scores of 1–2 points. PRISMA Flow Diagram. Legend. Specific search strategy: ((multiple[tiab] AND (“Chronic Disease"[Mesh] OR "Comorbidity"[Mesh] OR comorbidity[tiab] OR comorbidities[tiab] OR comorbid[tiab] OR co-morbid[tiab])) OR "patient complexity"[tiab] OR "multiple chronic comorbidities"[tiab] OR "multiple chronic conditions"[tiab] OR "multiple chronic disease"[tiab] OR "multiple chronic diseases"[tiab]) AND (("Models, Theoretical"[Mesh] OR framework[tiab] OR model[tiab] OR models[tiab]) NOT "Models, Statistical"[Mesh]) NOT (animals[mh] NOT humans[mh]) AND English[la] AND ("2004"[Date - Publication] : "3000"[Date - Publication]). Fifty-one papers underwent full-text review by two reviewers; the full review team convened for adjudication and to render final decisions by consensus. 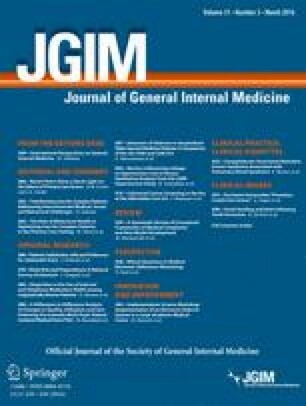 At the full-text stage, 46 articles were excluded because they did not present a novel conceptual model (n=23), presented a model/framework for clinical care delivery (n=9), applied or referenced an existing conceptual framework without modification (n=7), or presented a model focused on only one dimension (e.g., focusing on a single disease rather than the full scope of medical, psychosocial, and other factors of complexity) (n=7). One conceptual model,12 published shortly after the initial abstract identification process, was included because it was relevant and was developed by investigators from the AHRQ MCC Research Network. Citation review revealed a seventh conceptual model13 that we also included due to its relevance. Members of the review team (LZ, HW, SH, MM) independently extracted the following data elements from the included articles: 1) objective; 2) personal or individual factors related to complexity; 3) external or environmental factors related to complexity; 4) treatment and management factors; 5) whether the model was static or dynamic; 6) whether the model was based on literature, empirical data, or another source; 7) salient themes; and 8) striking gaps. These data elements were finalized after the data extraction form was piloted in a small number of articles and modestly revised for inclusiveness. The review team then met to discuss and synthesize information in an iterative process, considering strengths and weaknesses of each conceptual model. Safford’s Vector Model of Complexity was developed to inform clinical management of complex patients.10 , 16 This model defines patient complexity at a given time-point along socioeconomic, cultural, biological/genetic, environmental/ecological and behavioral axes that interact as health determinants; multimorbidity is one aspect.10 In this model, patients can have greater vulnerability in one or more axes and axes contributing to complexity can change over time to reflect complexity’s dynamic nature. The Cumulative Complexity Model was also developed to inform clinical care of complex patients.16 Shippee and colleagues conceptualize complexity as an imbalance between patient workload from medical and non-medical demands and a patient’s capacity to address demands.16 The authors note that workload-capacity imbalance can be dynamic because of feedback loops and changes over time in workload demands and patients’ capacity to manage them. While the previously discussed models were developed to inform research on patient-level predictors and clinical care, the remaining models were developed to inform performance measurement and quality improvement. As part of AHRQ Multiple Chronic Conditions Research Network (MCCRN) projects, Grembowski and colleagues define complexity as the gap between an individual’s needs and the healthcare system’s capacity to support those needs.12 The model’s outcomes include care quality, quality of life, health and well-being. In this formulation of complexity, the model envisions quality improvement within healthcare organizations as means of reducing complexity. Complexity management is envisioned as responsibility shared between patients and healthcare organizations. Giovannetti and colleagues developed the Performance Measurement for People with Multiple Chronic Conditions conceptual model. Key constructs include national priorities for improving healthcare (e.g., affordable care, safety); types of care (e.g., prevention, palliation), sites and providers of care (e.g., pharmacy, primary care); and patient and family goals and care preferences.17 This conceptual model is unique because it is focused on performance measurement. It does not explicitly outline patient, provider, and health system factors contributing to MCC. We identified five gaps in existing models of patient complexity: patient preferences, contextual factors, dynamics of complexity, acute health shocks, and resilience. These gaps represent areas of importance to our conceptualization of complexity. While they were represented to various degrees in some models, they were missing or insufficiently captured in most models and no model incorporated all five of these aspects of complexity. First, three models emphasized patients’ preferences and personal priorities.12 , 13 , 17 The importance of patient preferences in self-management and healthcare system priorities cannot be overstated, as health systems are increasingly encouraged to provide patient-centered care.18 There may be variability in how and when patients want to be involved in making decisions about their care and their treatment goals.19 Patients may weigh trade-offs between potential treatment side effects and intended outcomes, coming to their own treatment decisions.20 Consistent with Giovannetti,17 we believe that patient preferences and expectations must be central to any model of complexity, because it is the lens through which all other factors are filtered. Second, contextual factors, including interpersonal, organizational, and community factors, may drive complexity for patients and moderate the association between complexity and outcomes. Cultural and language barriers may interact with contextual factors to impact healthcare quality.21 While the included models highlighted limited contextual factors, none addressed the breadth of potential contextual factors impacting patients. Across the included models, the healthcare delivery environment,17 community resources and policies,12 sociocultural context encompassing financial resources and social support,10 , 13 physical environment,10 and social factors such as literacy level16 were mentioned with varying levels of focus. The final identified gap was the important concept of resilience, which was not explicitly addressed in any of the existing models. Resilience refers to the capacity to remain well or bounce back following a physical, emotional, or social stressor.28 People facing similar health challenges may exhibit very different health trajectories following the stressor, reflecting differences in resilience.29 – 31 Much literature has focused primarily on psychosocial resilience in the face of stressful life events, but we invoke an emerging concept of resilience that incorporates both psychological and physical resilience and posits that both aspects contribute to recovery and successful aging.30 , 32 – 34 Resilience has been conceptualized both as a patient characteristic, which can change over time and may be influenced by learning or training, and as a dynamic process or whole-person response following a stressor.28 , 30 While Capobianco and Lio’s model does not directly address resilience, they mention a related idea, perturbation and return to stationarity in complex systems.14 A distinct difference between the two concepts is that return to homeostasis may require medical intervention, while resilience is largely focused on factors inherent to the patient. The construct of resilience acknowledges variability in patients’ ability to recover and persist following episodes of decompensation that result from unmet demands. Thus, even when a complex patient lacks capacity to meet a given demand, the long-term health effects may be mitigated by resiliency. We posit that these five issues (patient preferences, contextual factors, dynamics, acute shocks, and resilience) are key aspects of understanding and addressing patient complexity. These gaps represented opportunities to build upon prior conceptual models, which we did in an iterative process until reaching the final version of our conceptual model. We present a conceptual model that builds upon the strengths of the reviewed models and addresses gaps discussed above (Fig. 3).16 Each construct has a subscript of “t” to denote its value at the present time and to imply that each construct can change over time. This new conceptual model can be used to understand within-person changes over time in these constructs (life cycle analysis), as well as between-person differences at a single point in time. The model also includes feedback loops (represented by double-headed arrows) enabling changing connections between constructs. In the workload domain taken directly from Shippee and colleagues,16 we consider factors that increase the effort that an individual must expend to manage daily activities. Sources of increased workload are diverse and include stress resulting from job demands, family tension (e.g., either daily routine or acute conflicts), self-care and managing chronic diseases, scheduling and showing up for medical appointments, and coordinating transportation for self and family members. The next domain of the Cycle of Complexity Model includes acute shocks and medical events. Acute shocks include unanticipated positive or negative changes in physical and/or mental health status. Medical events include major incidents such as a new diagnosis, heart attack, or stroke. Acute shocks and medical events may impact one another; thus, they are in the same overarching domain. Within the acute shocks and medical events domain, factors may either contribute to or mitigate patient complexity. Access and utilization comprise the next domain. This includes factors that make healthcare either more or less accessible, such as insurance status, geographic availability, or language concordance. Utilization, a related concept, addresses healthcare seeking behavior and a patient’s use of available services. Access and utilization may both increase or decrease patient complexity. For example, access and utilization of dialysis services may increase patient workload as well as increase patient health and well-being. The Cycle of Complexity Model also includes interpersonal, organizational and community factors adapted from the Social Ecological Model.38 We define the interpersonal context as a social and relational construct that includes immediate social support of family and friends. The organizational context includes professional and community-based organizations, employers, schools, and healthcare organizations. Lastly, we define the community context as social groups, social media, and neighborhoods, including cultural factors. For some complex patients, these social-ecological factors are important contributors to complexity, even for patients whose complexity is not driven by having multiple chronic conditions. For example, a neighborhood might have a community walking group, which would help a patient maintain physical activity and increase peer social support, potentially decreasing their complexity. The development of this conceptual model contributes to the literature in several ways. By taking a broader approach to the definition of factors comprising patient complexity, a richer measurement and analysis of complexity may better explain between-person differences at a point in time and within-person changes in complexity over time. The model can also inform analysis of complexity’s impact on patient outcomes in cross-sectional analyses that compare outcomes between more and less complex patients or longitudinal analyses that examine within-person changes in outcomes over time. If more comprehensive measurement better explains variation in modifiable drivers of complexity, the Cycle of Complexity Model can inform the development of interventions and care models that effectively improve complex patients’ care. Our review process for including conceptual models excluded well-known clinical care models. For example, the Geriatric CompleXity of Care Index (GXI) is a validated comorbidity index that addresses disease severity and intensity for older adults with MCC.39 While the GXI may be important in the measurement and classification of complex patients, it is an index rather than a conceptual model. We also excluded Wagner’s Chronic Care Model40 , 41 and the Model of Allostatic Load and Allostasis,42 , 43 because they were designed for clinical care delivery and organization, rather than as conceptual models. The Cycle of Complexity Model is likely to require refinement over time as the evidence base for MCC and complex patients is developed. Given the increasing prevalence of MCC and complexity and the disproportionate share of health expenditures incurred by these patients,44 , 45 there is an urgent need to understand drivers and causal pathways through which complexity can be subject to intervention. Current care models for MCC patients are largely based on medical interventions provided in health systems. To improve care, these care models must include social and medical components to address the spectrum of factors driving complexity. Such multi-component social-medical interventions are being tested in several local communities around the United States,46 which will require concerted effort and multi-disciplinary collaboration between researchers. The Cycle of Complexity Model represents a framework for structuring dialogue, a research agenda and targets of intervention. Helpful comments from Evelyn Chang, MD are acknowledged. Dr. Zullig is supported by a VA Health Services Research and Development (HSR&D) Career Development Award (CDA 13-025) and Dr. Maciejewski is supported by a VA HSR&D Research Career Scientist Award (RCS 10-391) and the Agency for Healthcare Research and Quality (R01HS023085, R01HS023099). Dr. Whitson is supported by the National Institute on Aging (R01AG043438, R24AG045050) and the Alzheimer’s Association (NIRG-13-282202). Dr. Hastings is supported by VA HSR&D (IIR 12-052). This initiative was undertaken with support of the Duke Aging Center and Duke Pepper Older Americans Independence Center (P30AG027816). The funding organizations had no role in the design and conduct of the study; collection, management, analysis, and interpretation of the data; preparation, review, or approval of the manuscript; and decision to submit the manuscript for publication. The authors have no conflicts of interest to disclose. The views expressed in this article are those of the author(s) and do not necessarily represent the views of the Department of Veterans Affairs. U.S. Department of Health and Human Services. Multiple chronic conditions-A strategic framework: Optimum health and quality of life for individuals with multiple chronic conditions. Available from: http://www.hhs.gov/ash/initiatives/mcc/index.html Accessed February 17, 2015.